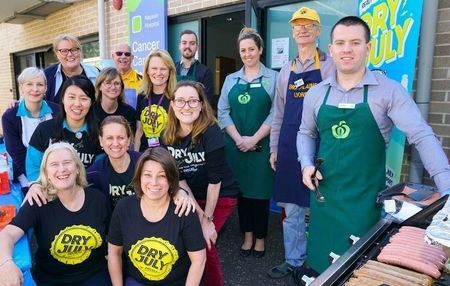 Sign up to Dry July Australia 2018 and raise funds for Nepean Cancer Centre, Penrith. The Nepean Cancer Service is committed to providing a comprehensive cancer service for patients with cancer and blood disorders. Ambulatory services are provided through the Nepean Cancer Centre, with radiation oncology, medical oncology, clinical haematology, psycho-oncology, allied health and supportive and palliative care services. Inpatient services include medical oncology, haematology, radiation oncology, supportive and palliative care services. Satellite Chemotherapy services also operate at Hawkesbury and Lithgow Hospitals. 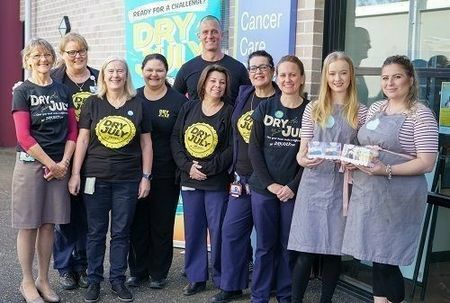 Your support in this year’s Dry July campaign will help fund various new projects across our service aimed to improve patient care and comfort. We're proud to announce that Nepean Cancer Centre has received a grant from the Dry July Foundation 2018 Grant Program. 'Fast Ed' visits the Cancer Centre! 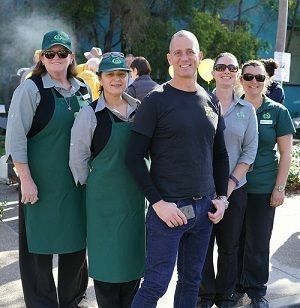 Nepean Cancer Care was buzzing with excitement on 25th July when celebrity chef and Dry July foundation ambassador Fast Ed came to visit the Centre. Together with the lovely support and donation of some delicious cupcakes from Mrs C’s CupCakes, Ed visited our Day Ward handing out cupcakes to patients and taking the time to have a chat with them and their support person. We are so thankful to Ed for coming along touring our Centre and taking the time to speak to our patient and staff. It was such a great day with feedback from our patients and staff commenting that it was such an uplifting experience. Thank you Ed and Mrs C’s Cupcakes for helping us raise awareness for our Dry July campaign and bringing a little joy to those currently battling the fight against Cancer. With celebrity Chef and Dry July Foundation Ambassador, Fast Ed, on site and providing us hot tips for barbecuing the perfect sausage, the sausage rolls were rolling out! 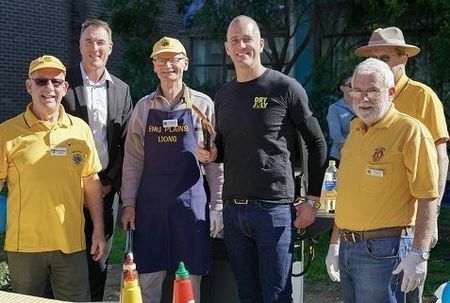 Thank you again to Woolworths and the Emu Plains Lions Club for your donations and support for our Dry July BBQ held on 25th July. Your generous contributions helped us raise over $1,000. Yummy treats sold like hotcakes at our Dry July Bake Sale on 16th July. 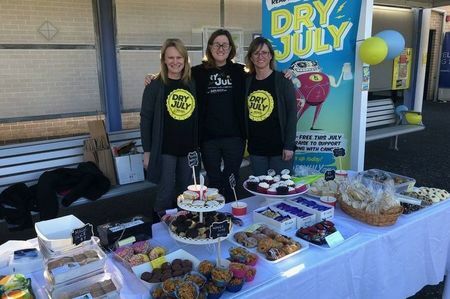 Thank you to all the staff, family, neighbours and friends who contributed the goodies to the Bake Sale that helped us raise just over $600 towards our Dry July campaign. 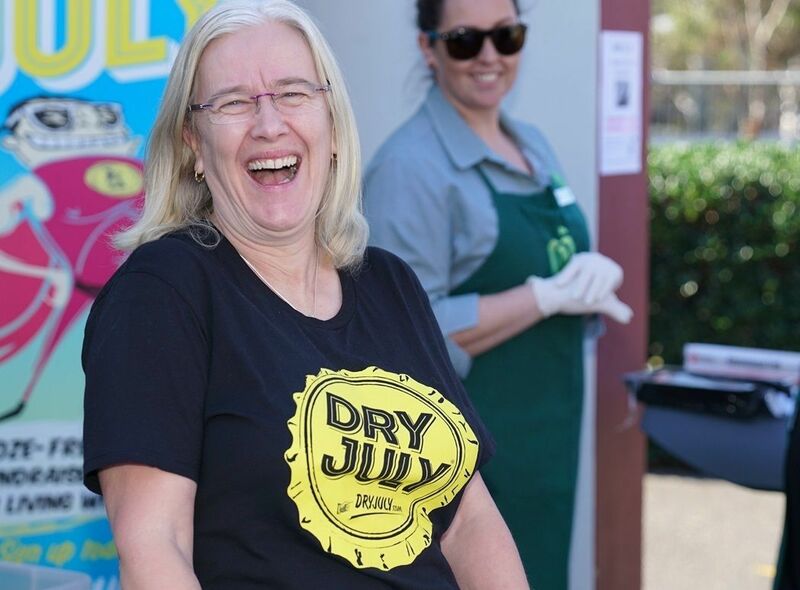 Our first Dry July BBQ for 2018 was held on 11th July was a great success in promoting our Dry July Campaign. The event was proudly supported by Woolworths and volunteers from the Lion club cooked up a storm raising $800. 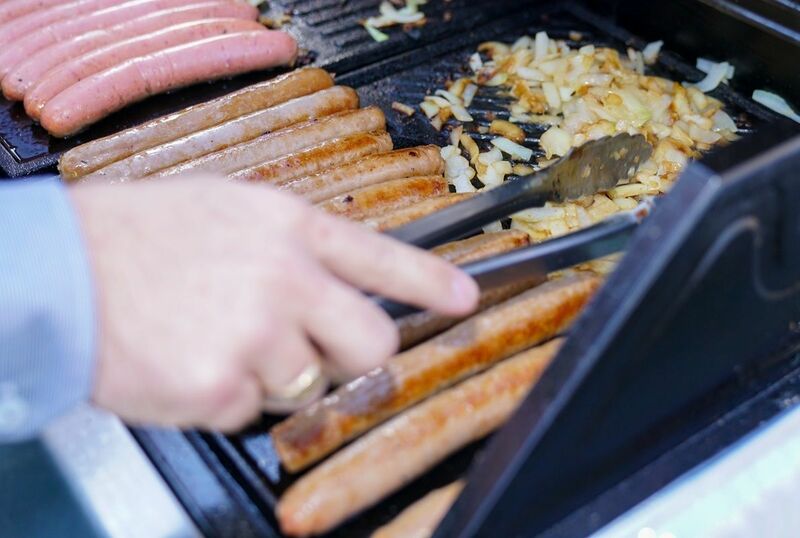 Thank you to everyone who came along and supported our BBQ, we hope you enjoyed your sausage on a roll.